I was not (yet) so lucky to watch the "Mona Lisa" at Louvre in Paris, but I will solve this mistake shortly. No Cristoforo Colombo, No Enrico Fermi, No Leonardo da Vinci, No Giordano Bruno ... still not Francesco d'Assisi ... receive "respect" ... they sacrifice themselves to born in a Dark place. Why is a Dark place? ... Italy is a Dark Place because is ruled by Dark people. And why Italians are Dark people? ... Italians are NOT dark people ... but accept Darkness like "normal" and "logic". Jesus the Christ ... resurrect ... but Canadian pharmacy they and litigate and love Christ over the cross. They love Christ death. They saints including Padre Pio ... show Bi-location ... but they say, "They are Saints" ... and they in some sense say ... "Well, you die ... then we will honor you. May be we honor you". How many people they burn ? Women classified like Witches ... or devil representers? ... They claim to be "The Religion", well now I Giovanni say ... "You will see at the end of 2012 ... the end of the Religions" ... the end of all Religions. For me, Giovanni is complicated to avoid to speak about the Great Masters that born in Italy ... It is evident I was one of them ... and honor them. They were like candles in the Darkness. You don't need to fight ... you need only to call ... to make the call to Archangels and their legions ... because they are really close. Let me honor another candle, Michelangelo Buonarrotti ... in the Capella Sistina. I really love my Job! ... What is my Job? ... In simple terms I am a keeper of the flame ... the flame of Truth, that reveals ... and I reveal you and explains you the meaning of the sacred scriptures. I explain you the actual ... building a bridge to the Next Science. Let me answer What represent the Mona Lisa? The Mona Lisa was bring by Leonardo ... everywhere ... It represent himself, Leonardo ... but under another Light. The Mona Lisa (La Gioconda) is Leonardo da Vinci ... but showing him female side ... Yes. There are code ... Of course there are a code. A Novel like "The Da Vinci Code" with all their millions of dollars behind ... explains that code. 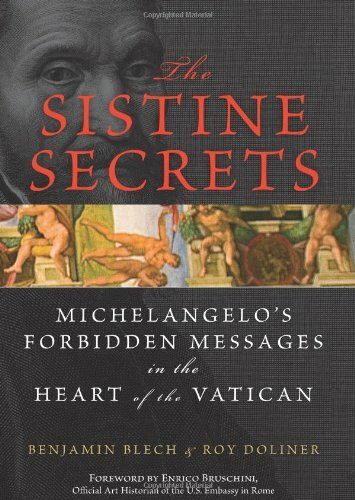 There are also a code in the Sistine Capella of Michelangelo. Use a Code like the Da Vinci Code, the Shakespeare Code and the Sistine Code, was a "normal" mode to say the words you cannot say. Let please honor these Great Masters ... that of course were not honored in Italy. If they were honored in full the Vatican disappeared eons ago ... but is still there. But, not will remains. Italy will become a Light place like was expected to be in the Renaissance. No more Darkness ... just Light!